Graduate student representative, Jieun Yang is delievering the Oath of Freshmen at 2016 Matriculation ceremony. On the evening of March 2, the Graduate School of Technology & Innovation Management (GSTM) at UNIST hosted its very first Matriculation ceremony to give the incoming graduate students a warm welcome to the UNIST community. 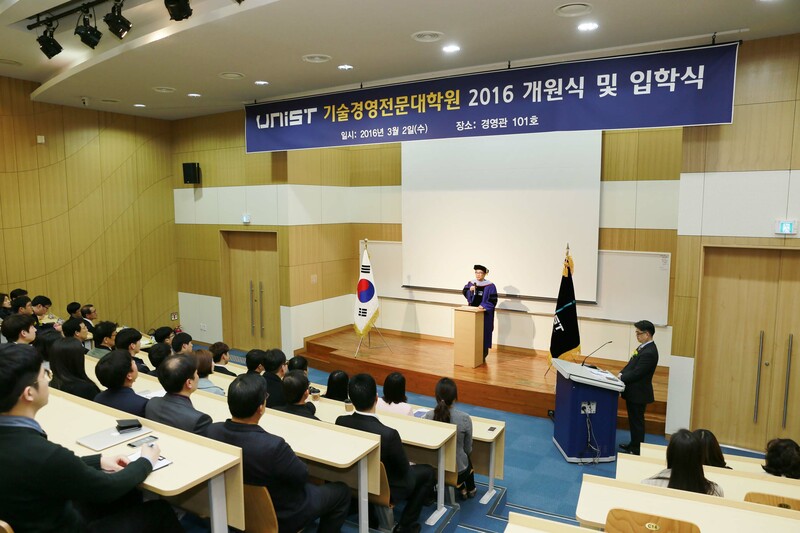 This special event featured congratulatory address by the President Kooyul Jung of GSTM that focuses on important graduate student topics. A total of 35 new students, 32 master’s and 3 doctorates, were admitted in the presence of their colleagues and professors who came to witness this important milestone. The Oath of Freshmen was also delivered by a student representative, Jieun Yang on behalf of newly admitted UNIST graduate students. 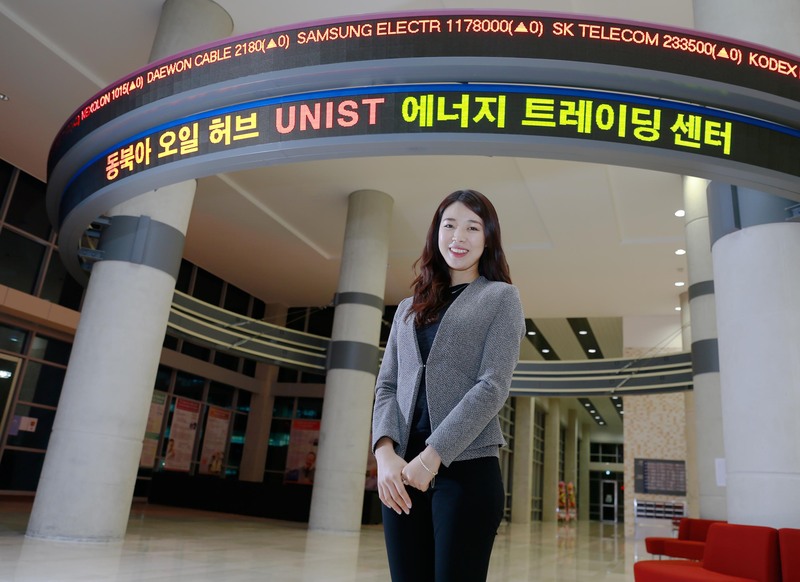 Jieun Yang entered the UNIST GSTM with an ambition to help small businesses start and grow. Ms. Yang has 4 years working experience at a German automotive parts supplier. She currently works at a machinery components venture business, own by her parents. Her ultimate goal is to develop her parents’ company into a global hidden champion. To do so, she plans on gaining knowledge of “industrial innovation” and “technical commercialization” at UNIST. The 1st Matriculation for the UNIST Graduate School of Technology & Innovation Management was held in the evening of March 3, 2016. The Graduate School of Technology & Innovation Management at UNIST is committed to interdisciplinary education in the English-speaking environment, and to pioneering research across all their disciplines in order to cultivate competent leaders with a global perspective and an innovative capability to excel in the theory and practice of both business and technology management. This graduate program offers three tracks: Manufacturing Acceleration, Technology & Venture Commercialization, and Strategic Technology Management. Besides, the courses offered by GSTM faculty are both on part-time and full-time basis, allowing students to balance personal and professional obligations. These courses take a practical approach using real-world case studies to hone one’s skills in overseeing complex projects.